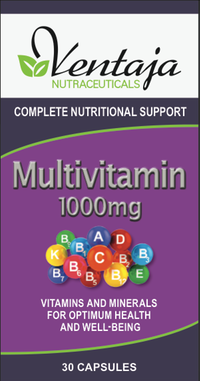 Venjata Nutraceuticals™ Multiviitamin provides a range of important vitamins and minerals to help maintain good health. It’s packed with antioxidants which help protect cells from free radical damage. Ventaja Nutraceuticals™ Multivitamin + Antioxidants delivers a gradual supply of nutrients to provide nutritional support from head to toe. It provides nutrients important for the maintenance of a healthy immune system and important antioxidants, which help in supporting the body’s own antioxidant defence system. The B group vitamins are required for energy production in the body. They play an essential role in the metabolic processes of all living cells serving as coenzymes in the metabolism of our food to produce energy. The B vitamins B1, B6, B12 also help support a healthy nervous system. 1 tablet a day with a meal or as professionally prescribed. 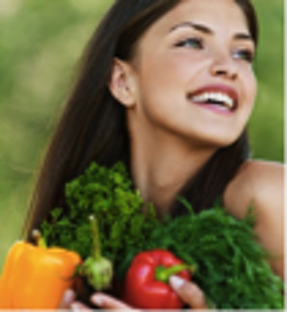 The recommended daily amount of Vitamin A from all sources is 700 ug retinol equivalents for women & 900 ug for men. WARNING – When taken in excess of 3000 ug retinol equivalents, vitamin A can cause birth defects.